So as you can see I don't have Day 23 up...that's cuz all you would see me in is workout clothes...I broke 2 rules of my Date Night tips the same day I wrote them! haha We went to the movies..and I didn't get ready...we still had a great time.. Anyway, I have had several of you guys ask me what products I use/love. 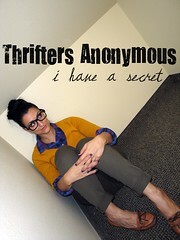 So while they are not thrifted, I feel as though they are the best products you can get for your money..therefore they are THRIFTY. You know so you don't waste your money on products that don't work. So, I also wanted to try and find some pictures (proof) that the products I have fallen in love with really are amazing! I have to give credit to the photographers and videographers as well as make up artists and hair stylists. I also pulled the pics that were not re-touched in any way so that you could see how amazing some of this make up is..It's not all listed but I tried to put the important stuff! ok enough talk let's get to the products! My sister got me this Eye Liner and brush! I really like how much control I have on this. You simply wet the brush and drag it through the color you want. 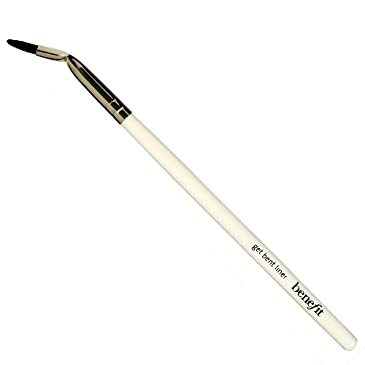 I must admit, it does end up smudging if you don't use a primer of some sort, but I can do an awesome wing with this brush, and the more water I use the blacker the line! I can not even explain to you how much Make up Forever has changed my life when it comes to makeup. I really don't wear foundation all the time, but this Face and Body foundation is so light I love it! It has an SPF of 15 and the coverage is so smooth. You can also use it on your body. I burned my chest really bad so I will use that to cover up the scar sometimes. It also lasts a long time since all you need is about the size of a nickel! I like to use my MAC Foundation brush which allows me to apply with even consistency. I am also loving the Aqua Eyes Eyeliner, I have almost every color..they even have silver and gold! They DO NOT SMUDGE!! I mean all day, gym, then dancing..and the liner is still there! LOVE LOVE LOVE! Worth every penny..as it is a little pricey. Ok, so I am by no means a model or actress, but I love doing both...I hope that I get better as I go but in the meantime I have had amazing opportunities that have landed me in front of a camera. This HD powder is incredible. A little bit goes a long way and will keep you shine free for hours! Mix in a little of the UPLIGHT and you will get a natural glow. I like to mix just a little in my foundation. I did this for the Today Show Shoot! with John Michael Cooper of Altf. That is me on his home page completely surrounded by dirt...this make up stayed on the whole time!! Ok a girl needs some cover up now and again, and this palette is truly the best Camouflage I have ever used. It is a thick cream that can literally make anything disappear. I have a scar on the right side of my face from when I was born. Whenever I do any photo shoots I use use a little of the green and then my color. I love how there are several colors in the palette, since my skin has different shades all over. I have also had it for 2 years! probably longer than I should..but this stuff lasts forever!!! I am addicted to this Lift Concealer. Not only do you need a dot underneath your eyes, but with just a dot and a few pats, you look brand new. I use it under my foundation to add a little lift. This will brighten your face and if you do have bags or maybe stayed out a little late, a little dab and no one will know!! 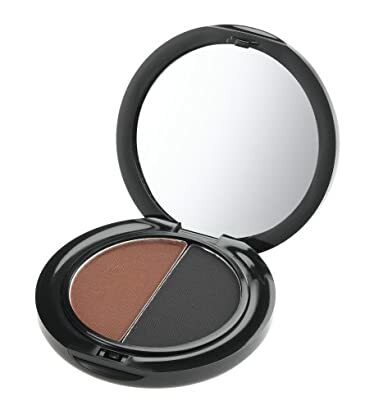 Ok it is no secret that MAC makes the best eyeshadows...Shroom is a great base under eyebrow..a staple..I also love Nylon for the inner crease it is stunning with browns and almost any color.. Fluidline is really my favorite liner that I like to use. It is a gel and can really create amazing lines, wings...and all things liner. It lasts forever as long as you close it tightly. I live for the angled brow brush which I use with the Espresso to fill in my eyebrows. I don't like eyebrow pencils as sometimes I feel like I have fake eyebrows when you use a pencil. I really love this shadow for that reason. The Eye Shader Brush is really my favorite brush to apply the base shadows like Shroom. It is dense and really lets you layer the make up on LOVE THIS BRUSH! When I say this liner stays on I mean it stays on!!! I used it for this commercial I did for Memory Lane Video, you can't see my face but let's just say even with the wind and dirt, my line on my eye was still on my eye and not on my eyelid! You can check out the video here! Ok, now I am going to let out a secret company which I just discovered..They opened up a small boutique here in Vegas and when I stumbled upon it I got soo excited! The colors are incredible, the palettes are interchangeable and inexpensive..and even better the products are not tested on animals, are made with a paraben free formula, and contains Vitamin E and an apricot kernel oil moisturising formula (lipstick that is). They smell divine and the color is so rich it stays too! So far all I have tried is the lipstick and I am in love. I did feel the shadows and they are like silk, I also heard the mascara is amazing...no clumping greatness. I will keep you posted as to what other products I try. For the meantime check them out!! INGLOT Company was established over 25 years ago by Wojtek Inglot, a young chemist working at that time in R&D department in pharmaceutical company in Europe! They also just launched the world’s "first ever Breathable Nail Enamel ensuring better health care for nails whilst enhancing their beauty." Let me know if you try anything or have heard of them! Check out this Review! I really love how this Creme De Coco enriches my thirsty hair..and the shampoo is so light. While this is pretty pricey I buy the really big bottles to save a little. Husband really loves this too...he used to use Pert Plus..haha now he need Creme De Coco...﻿ There are so many options so I suggest getting the travel sizes to test it out. My hair is pretty average..not dry not oily...but I hate shampoo that makes your hair greasy and conditioner that doesn't condition. You only need a drop the size of a quarter...for my hair a 50 Cent Piece...LOVE LOVE LOVE..and it smells amazing! you need very little, it also cuts down on the drying time! I don't even need a de-frizz..you use this before you blow dry very little, don't put it on the top of your hair just on the ends ad half way up to the middle...you can then use it after blow drying for the fly away! Ok, hopefully that was helpful..was it helpful?...I dont' have photo shop so I wanted to be sure I showed a picture of the product with links, If I linked you and you want a different link or don't want me to link you let me know!..it helps me when I see what something looks like. I am a big experimenter when it comes to this stuff so it is always changing but these items have been a staple for years. Please let me know if this helped you and if I should continue to do something like this. I obviously didn't list everything so if there is something you are wondering about let me know! oh and if you are not following this gal you should!!! Keeping you updated on discounts and what is new! She is the one who told me about this new lipstick..I am in love with!!!! Show her some love so she can continue showing us what is fabulous! you look really beautiful in these photos! Oh my gosh, I'm so flattered! I have been ooh'ing and ahh'ing over this post before even noticing you gave me some love; THANK YOU! Isn't Gaga's MAC the best? In love. Anyway, LOVED this post. I also have a scar on my cheek that I like to hide; have actually been using a Clinique concealer for eons but am eager to try some of your recs. SO fun to meet you and thanks again!!! What stunning bride you were! Your wedding photos are just breathtaking, and I love your eye make-up. I've been a dedicated user of MAC eyeshadow for years and I love seeing gorgeous visual confirmation that is really is the best there is. Great post! thanks for visiting my blog hun!! :) the photos are simply stunning!! Great post! Love your blog, so following back!